Hasbro: Khetanna Shipping Box Variation! 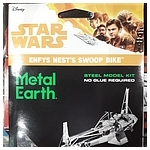 It appears that The Vintage Collection Jabba's Sail Barge is arriving in one of two different Hasbro shipping boxes. Some have the standard black and purple printing while others use the newer black-only box. Will this be a prized variation in the future? Only time will tell. In the meantime, click through to see both versions. Fellow Collector Douglas reports that his HasLab Sail Barge has arrived. Click through to take a look at how truly massive the shipping box is. Reports have been coming in that Hasbro has been sending out notifications of the impending arrival of The Khetanna. If you ordered this, then keep an eye on your inbox for when this big bad boy is set to arrive! Hasbro: The Vintage Collection Jabba's Skiff Pre-Order Is Up! UPDATED! - SOLD OUT! 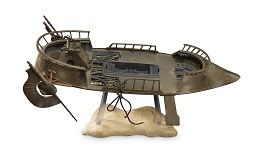 - To complement Jabba's Sail Barge, Hasbro will be re-releasing the Skiff, this time as part of The Vintage Collection, and you can place your pre-order at Hasbro Pulse after following the previous link. Hasbro has released a few promotional images of the final production version of The Vintage Collection Jabba's Sail Barge (The Khetanna). 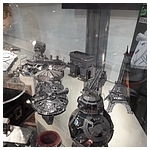 Click through to check them out. 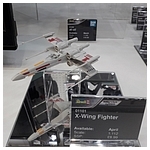 We get back to our coverage of this year's UK Toy Fair with a look at the Revell booth, which featured their own product along with offerings from Bandai. Hasbro: Former Disney Store And Walmart Exclusives Now Available For Pre-Order From Entertainment Earth! 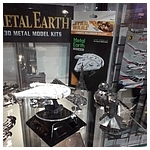 The Black Series 6-inch Zuckuss and Captain Phasma (Quicksilver Baton), the 3.75-Inch The Vintage Collection Imperial TIE Fighter, and the Force Link 2.0 Kessel Mine Escape Playset have been added to EntertainmentEarth.com. Click through for the direct links! 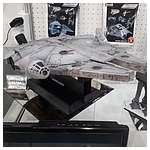 Hasbro has posted the final 2018 update for the upcoming The Vintage Collection Jabba's Sail Barge. Click through for images of the final packaging and deco images. 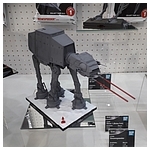 Hasbro: Great Price on The Vintage Collection Rogue One Imperial Combat Assault Tank at BestBuy.com! Another chance to grab the Imperial Combat Assault Tank at a fraction of the original retail price! 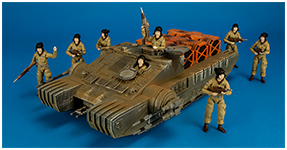 BestBuy.com has this The Vintage Collection vehicle on sale for your Imperial army-building needs. Follow this link to get yours at $29.99 each!